John Johnston (also spelled Johnson) was an Indian Agent in Ohio in the early years of the new state. He was born in 1775 in Ireland. While he was a young child, his family moved to Pennsylvania. Johnston participated in Anthony Wayne's assault on American Indians living in the Northwest Territory during the early 1790s. President James Madison selected Johnston as the Indian Agent overseeing the American Indian reservations in northwestern Ohio. He served in this position for more than thirty years until the 1840s. His office was located in Piqua. Johnston faced numerous difficulties in his administration. First, the state and the federal governments only minimally assisted Ohio's American Indians. While all levels of government hoped that Ohio's American Indian peoples would adopt the lifestyle of white people, few serious attempts were made to teach them these customs. Many white Ohioans truly preferred that the American Indians leave the state -- or be made to leave. Several of these people profited from selling alcohol to the American Indians; and many Anglo-American settlers illegally squatted on American Indian land. 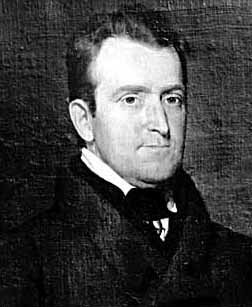 Johnston also helped negotiate the Treaty of Upper Sandusky in 1842. This treaty forced the Wyandot to sell their land and be made to relocate west of the Mississippi River. Johnston played an important political and social role in Ohio as well. He was a strong advocate of the Whig Party. In 1844, he was one of Ohio's delegates to the Whig Party national convention in Baltimore, Maryland. He delivered impassioned speeches in favor of Henry Clay, the Whig candidate, from Piqua to Baltimore. With his wife, Johnston formed the first Sunday school in Miami County. He helped found Kenyon College and also served on the board of trustees of Miami University. Johnston also published one of the earliest histories of the American Indians that once called Ohio home. He died in 1861 in Washington, DC. The Ohio History Connection now maintains John Johnston's farm as a state memorial. In addition to Johnston's home, the Piqua Historical Area includes an American Indian museum and a reconstructed portion of the Miami and Erie Canal, complete with a replica mixed-cargo canal boat.